Living in Africa, there’s a common misconception that wild animals are free to roam through our gardens and dodging wildlife on the way to work is a daily occurrence. Most seasoned travellers know better by now, but I still get asked those odd questions from time to time. No, the wildlife isn’t right outside my front door, I live in a city with 4 million people, but the wildlife is a lot closer than you’d think, for a city. 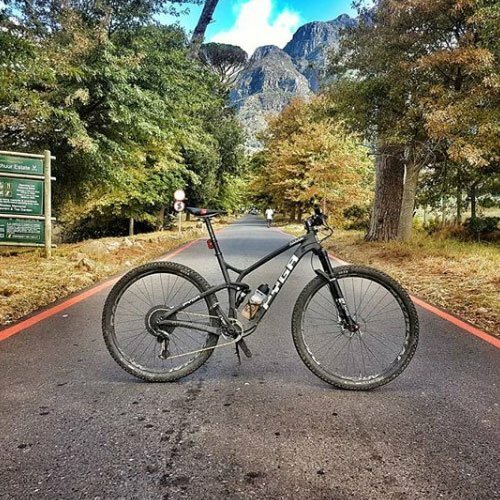 Whip out the mountain bike and within 15km of the centre of Cape Town, you can be surrounded by nothing but tall grass, rocks, and a hard compacted surface known as Rhenosterveld (Rhino turf). Out here nature is left to its own devices, and while you’re not likely to spot any of the big 5, there are a plethora of animals going about their business. On our rides we’ve come across Rooikat (a small Lynx-like cat), Kites and Owls, Zebra, the odd buck, plenty of cows and some not be messed with Ostriches. But it’s what makes the dry grass rattle that provides heart-stopping scares. The damn Guinea Fowl (Pheasants). They creep around in the grass unseen and 9 times out of 10 I’m convinced the sound is being made by a ready to strike Cape Cobra. The Cape Cobra takes on multiple colours throughout the year from gold to black, in fact, only its hood gives it away. I’ve seen a few of them while slaying some singletrack and thankfully, they are mostly keen to slither away, but there have been occasions where I’ve had to bunny hop over one or take evasive action. I’m sure if you checked my heart rate at that point in time you would notice a dramatic spike or even a new personal high. The snake sightings are rare, so don’t be put off if you’re afraid of them, the most common time to see them is around October/November as spring hits and the little ones come out of their holes and get lost in thinking a rock garden is a nice place to soak up some rays. If it’s slightly bigger game you’re after then there’s a 3-day stage race I did this time last year in the Drakensberg, near the border of Lesotho, called the Berg and Bush. 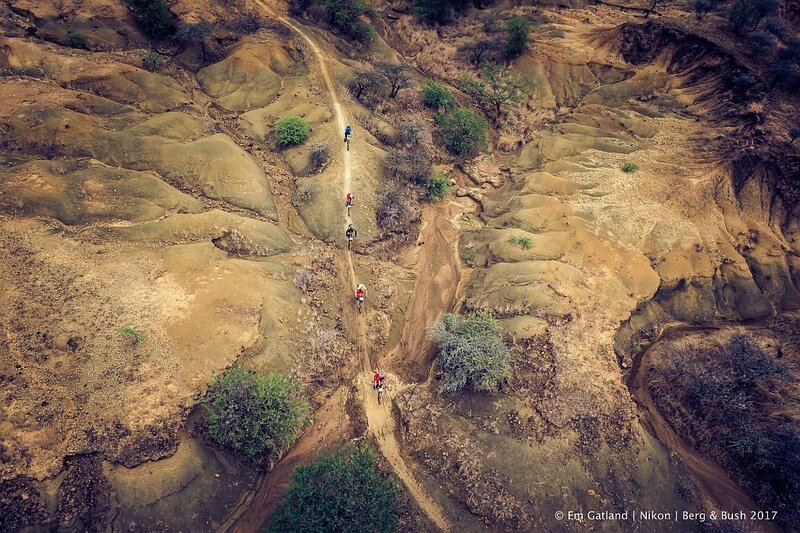 This is where real Africa meets cycling. 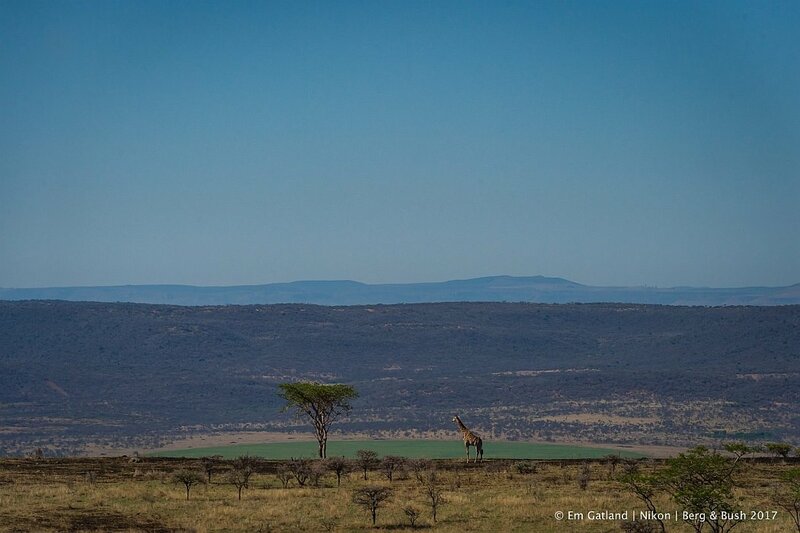 Tented accommodation is excellent, but once out on the bike, you’re left alone in the middle of nowhere, tons of Aloe and Acacia trees for miles, canyons, riverbeds and mountains The views are tear-jerkingly beautiful as you gaze over untouched land as far as the eye can see. I was minding my own business towards the end of the first day of riding – 90km, down a descent with jagged rocks and dongas (I guess you would call them ditches or ravines?) when I looked ahead to spot the tell-tale stilted legs of a giraffe. I must have startled it as it took off, but in the same direction as I was headed. We must have been parallel, no more than 10 meters apart for about 30 seconds before it darted away and into the bushes. It’s surreal to say that I slipstreamed a Giraffe on a trail in Africa, something nobody from anywhere else is likely to believe. The problem was that I wasn’t even the only one with a giraffe story when I got to the campfire that evening, it was like a David Attenborough documentary, so much wildlife had been encountered. 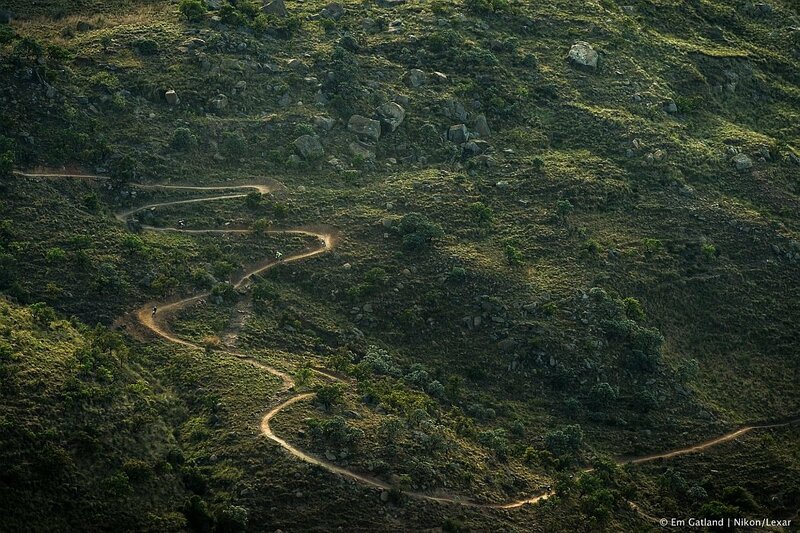 South Africa has become the mountain bike stage racing capital of the world, thanks mostly to events like the Cape Epic. I would wager there’s a stage race happening for almost every week of the year. It’s possible, as the winters aren’t terribly cold and half the country has summer rainfall and the Western half has winter rainfall making it perfect riding conditions somewhere in the country. 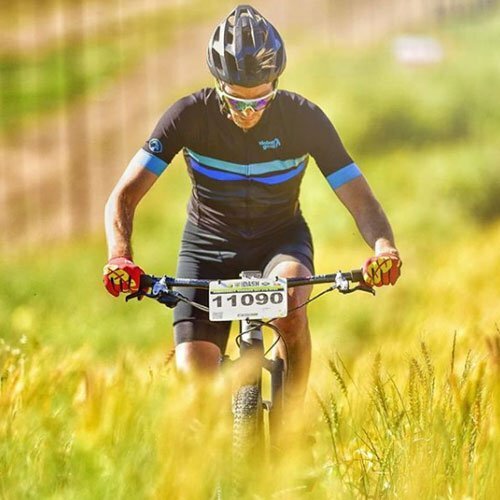 Each race has a unique vibe, whether it be for racing snakes, adventurers or families, and for those outside of South Africa, you’ll probably find them reasonably priced too. And with that, it’s back to training and dodging wildlife. Hamba Kahle. 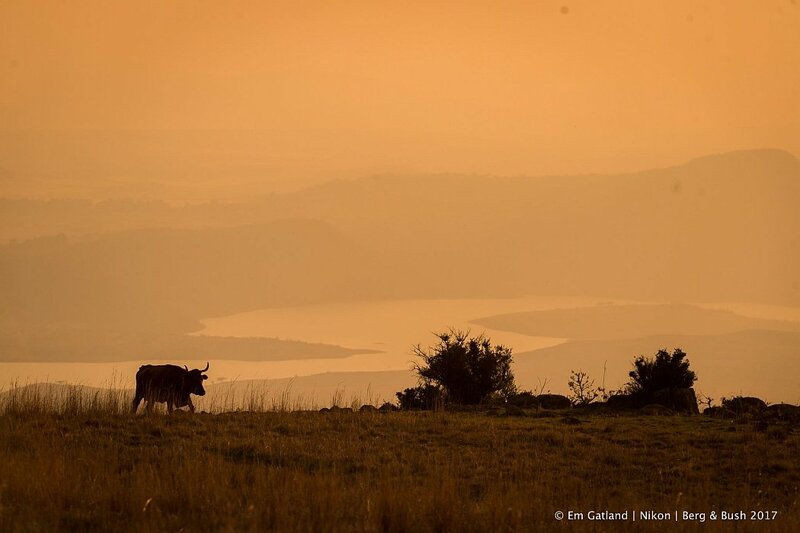 This entry was posted in Adventure More, Goat News and tagged 2018, adventure more, africa, ambassador, bemoregoat, blog, brand ambassador, cycling heroes, events, facebook, fun, goat, inspiration, instagram, mens cycling, motivation, mtb, mtb racing, riding in africa.